The majority of patients who come to see me with ‘self-diagnosed’ low back pain think they have a muscular problem. And sometimes they’re right. However, the low back is complicated. The low back is complicated, pain is not always the result of a muscular problem. The low back is made up of a network of interconnected muscles, tendons, bones, joints, discs and nerves. Damage to, or problems with, any of these structures can result in pain. A number of underlying issues can cause low back pain. Although it may not be possible to eradicate the risk of low back pain entirely, you can lower your risk by regularly exercising, using correct lifting techniques and improving your posture. Yes, the National Institute of Clinical Excellence (NICE) guidelines recommend using chiropractic care as a first-line treatment of chronic low back pain. Getting an accurate diagnosis is the starting point to any treatment plan. The bottom line is, don’t guess. You can’t always tell what is happening based on the severity of symptoms. 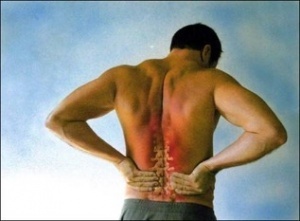 A simple low back muscle strain can be excruciating while a more complicated disc injury may only cause mild symptoms. If it hurts, get it checked!